We traveled without incident thru South Carolina and Georgia. Finding gas was not a problem, although we did have to pay 4.08 - the higest of all our travels. We are now in Jacksonville, Florida. Hannah park is a city park here, and it has everything that is beatiful about Florida. 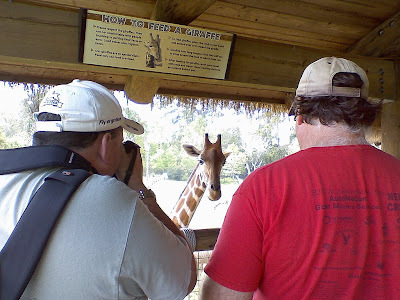 Our friend, Glenn, lives here in Jacksonville and enjoyes taking photos at the Zoo - so we made plans to go there with him. Pretty cool. More photos from Glenn soon. Meanwhile you could look at some of his past efforts on his Picasa Web Album. 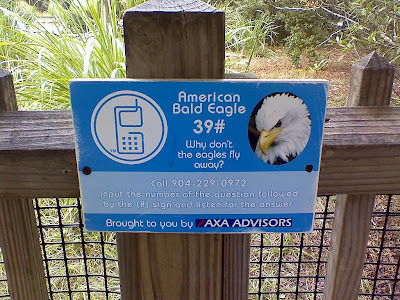 A cool way to learn more at the Jacksonville zoo is to use your cell phone to access recorded messages. We've probably all been to museums where you can rent an audio device that had recorded messages ... here you just use your cell phone as the audio device. What will they think of next?! 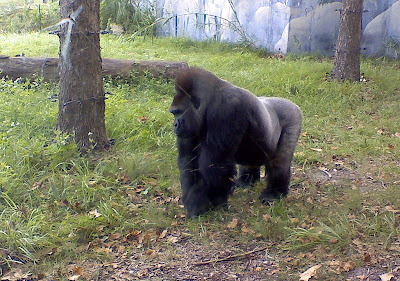 Thanks for posting about this zoo, we will make sure to stop next time we are heading North. 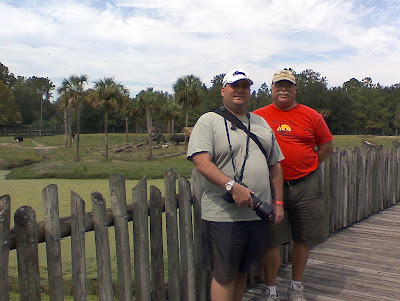 Lion Country Safari in South Florida gives out a CD when you enter that you can start and stop as you go if need be. They collect them when you leave. As if people don't have their cell phone up to their ear all the time anyway. Unless it was a "free" call, not being counted against my minutes, I don't think it is at all cool. I don't know Tom. People have different situations. A lot of people have free weekends which is when most people would go to a zoo. Someone in an RV would likely go during the week to avoid crowds but would incur minute charges. That would make sense to me. I don't come anywhere close to using all my minutes each month and have rollover minutes so I wouldn't think twice about it. Besides if there was a charge for a device such as in a museum that might be something like $5-$10 so minutes might even be cheaper. Its only one day here and there not a regular habit. Again, people just have their own situations that they'd have to assess themselves. I had the benefit of Chris informing me of all the interesting bits along the way but a decent speakerphone could be shared by a couple.